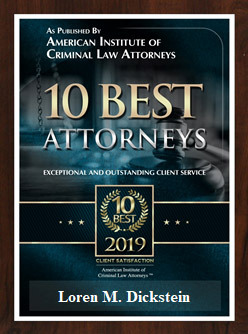 Michigan’s Premier Stalking Defense Law Firm… Top notch, cutting edge, experienced, passionate and compassionate representation. We are not afraid to win. Stalking charges can result from various circumstances – from an emotionally charged situation to a simple misunderstanding to completely false charges. Michigan takes stalking very seriously. If you are charged with a stalking offense you are understandably scared and worried about the future and what might happen. Before you do, or say, anything to anyone – CALL LEWIS & DICKSTEIN, P.L.L.C. for a consultation regarding your situation. Our highly experienced criminal defense attorneys will answer all your questions. Stalking is addressed in MCL 750.411h. Keep in mind that there are many ways to actually interpret the statute, and many ways to use it for your benefit. This is why having a highly experienced legal team working on your behalf is in your best interest. The offense of stalking is a misdemeanor offense that is punishable by not more than 1 year in jail and/or a fine of not more than $1000.00. If the stalking victim is less than 18 years old and the person charged with stalking is 5 or more years older than the alleged victim the charge becomes a felony punishable by not more than 5 years in prison and/or a fine of not more than $10,000.00. there was a willful course of conduct involving repeated or continuing harassment of another person. that course of conduct would cause a reasonable person to feel terrorized, frightened, intimidated, threatened, harassed, or molested. That the person actually did feel terrorized, frightened, intimidated, threatened, harassed, or molested. What is Considered Aggravated Stalking? Aggravated stalking is defined in MCL 750.411i. Aggravated stalking is a felony punishable by not more than 5 years in prison and/or a fine of not more than $10,000.00. The penalties are increased if the alleged victim is under 18 years old and the alleged stalker is 5 or more years older than the victim. Again, there are many ways to interpret this law and its elements. You should leave it to the stalking defense specialists at LEWIS & DICKSTEIN, P.L.L.C. to help you. To convict someone of aggravated stalking a prosecutor must prove that the offense of stalking occurred and also any of following beyond a reasonable doubt. at least 1 of the actions constituting the offense is in violation of a restraining order and the individual charged has received actual notice of the restraining order. at least 1 of the actions constituting the offense is in violation of a probation condition, parole condition, condition of bond, or a condition of bond pending appeal. course of conduct includes making 1 or more credible threats against the alleged victim, a member of alleged victim’s family, or another person living in the same household as the alleged victim. there is a prior conviction for violation for aggravating stalking or stalking. What am I looking at as a possible penalty? Am I going to jail/prison? The answer is that it depends. Michigan takes stalking very seriously and the Oakland, Macomb and Wayne County judges take the offense very seriously as well. However, LEWIS & DICKSTEIN, P.L.L.C. has an outstanding track record of achieving minimal sentences for those clients who are convicted or plead guilty. If you are acquitted (found not guilty), there will be no sentence and the case will be dismissed. After detailed, caring and careful consultation with our clients it may be determined that resolving a case without a trial is in our client’s best interest. If that is the case, our attorneys will approach the prosecution and negotiate the best plea bargain possible. If the prosecutor steadfastly refuses to negotiate, our attorneys will then seek a positive sentence bargain directly from the Court. LEWIS & DICKSTEIN, P.L.L.C. will leave no stone unturned to get the very best resolution for our clients. As a sentence, a period of probation can be expected. How long the probation will last depends on the court, and if the offense is a felony or misdemeanor. Probation can include community service, drug/alcohol testing, fines and costs, meetings with a probation officer, therapy (psychiatric, psychological or social), not to contact the victim, and many more possibilities. Whether there will be jail or prison involved depends a lot on a person’s prior criminal record and the severity of the stalking offense (was anyone hurt?). The attorneys at LEWIS & DICKSTEIN, P.L.L.C. will take all measures necessary to assure that jail is avoided when possible. What if I am being falsely accused of stalking? False accusations are very easy to make. Maybe you were in a relationship that ended badly and your former partner wants to hurt you. Maybe you are just trying to be friendly to someone and it got interpreted the wrong way. There are numerous possibilities for misunderstandings and malice. Do not try and explain yourself to police, a prosecutor or judge. You need the law firm of LEWIS & DICKSTEIN, P.L.L.C. to speak on your behalf. Our attorneys know just what to say, and when to say it, to help explain an already bad situation. We have vast experience in situations just like this and know what to do and when to do it to help you and you do need help. The award winning attorneys at LEWIS & DICKSTEIN, P.L.L.C. are here to help you. Our attorneys have decades of experience representing people charged with crimes. We understand the stress, the worry and the fear involved in facing the criminal justice system. You MUST NOT enter a courtroom and face a prosecutor and judge without the best legal representation available. Your future and possibly your freedom is at stake. LEWIS & DICKSTEIN, P.L.L.C. is well respected by prosecutors and judges. 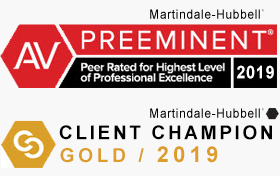 We have a reputation of being passionate, compassionate, and presenting well thought out and creative defenses for our clients. You can expect nothing but the best from the attorneys at LEWIS & DICKSTEIN, P.L.L.C. Please call us at (248) 263-6800 for a free consultation or complete a Request for Assistance Form and we will contact you.